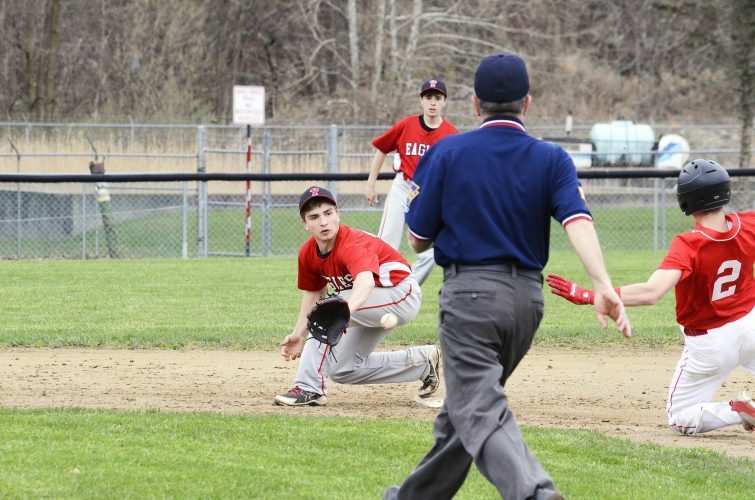 SAEGERTOWN, Pa. – Eisenhower baseball jumped out to an early 3-0 lead at Saegertown Wednesday, but the Panthers answered with a 13-run first en route to a 19-4, 3 inning win. The Panthers had eight hits, four walks and a hit batter in the inning. The Knights took advantage of some Saegertown miscues to get on the board in the first. With two away, Zach Rohlin drew a four-pitch walk and moved to second when Drake Gens reached on an error. Rohlin scored when Nick Smelko reached on error and Gens came home on Paul Swanson’s single. Teagan Gray followed with a RBI single to put the Knights up 3-0. Saegertown got right to work in the bottom half. Four straight hits followed back-to-back walks to start the inning gave the Panthers a 4-3 lead. A hit-by-pitch, error and two more walks had the hosts ahead 7-3 with no one out. With one out, Smelko got Wesley Price to hit a ground ball to short, but the Knights weren’t able to convert the double play and the inning continued. Another error and four more singles gave the Panthers all the breathing room they would need as they led 13-3 after the first inning. Smelko battled through the inning, throwing 75 pitches. “It was a nice, sunny day. It was just a nightmare in the field,” Eisenhower coach Joe Troxel said. Eisenhower got one back in the second. Zane Alexander hit a one-out single to right and Drew Williams followed with a single to left that sent Alexander to third. Alexander scored on a double steal to make it 13-4. A walk and a pair of singles to start the home half of the inning got that run, plus another, right back for Saegertown. A one out single plated another and a fielder’s choice and error scored two more to put the home team ahead 18-4. A double and pair of errors in the bottom of the third scored the deciding run for Saegertown. Gray finished with a pair of hits and an RBI for the Knights. 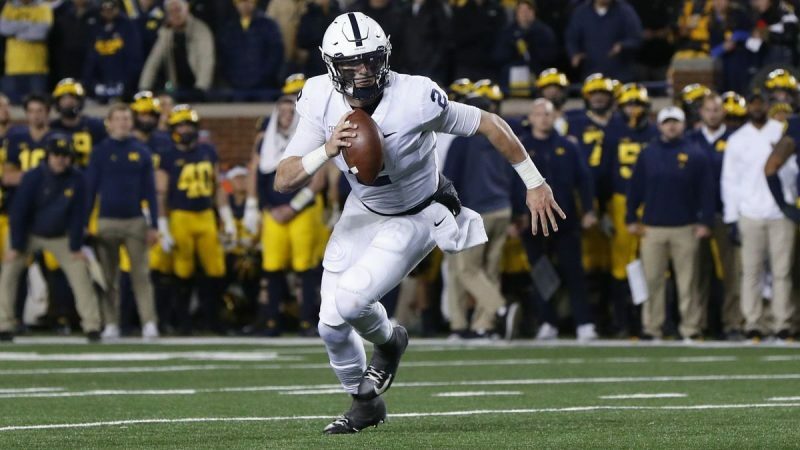 “Gray is just a freshman, that’s dynamite,” Troxel said. Eisenhower will renew the Backyard Brawl when they travel to Youngsville Friday. 2b-Siple (S), Sherry (S). WP-Shearer. LP-Smelko.